Farm-reared veal raised on mother’s milk is an iconic Limousin product, with the majority of the production based in Corrèze. Farm-reared veal raised on mother’s milk is an iconic Limousin product, with the majority of the production based in Corrèze. Limousin has nearly 1800 breeders producing Limousin veal. 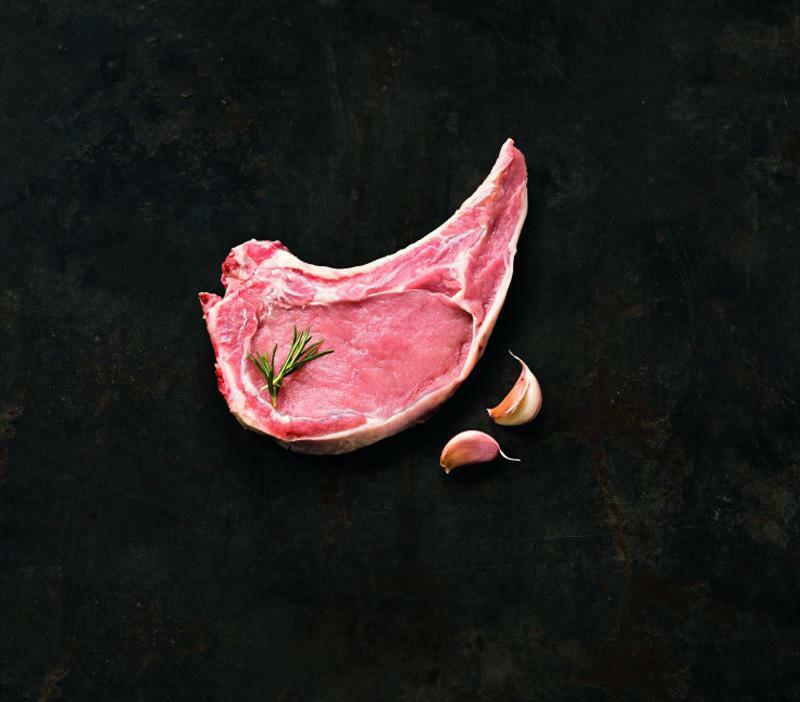 It has held Label Rouge certification for ‘farm-reared veal raised on mother’s milk’ since 1971, guaranteeing premium quality; and a Limousin veal IGP (protected geographical indication) since 1996 guaranteeing its Limousin origins. There is a wide range of veal cuts available and each can be cooked in different ways. Veal is best cooked slightly pink, which keeps it soft and refined but can also be served medium. Make sure that you do not overcook the veal to ensure that it remains tender and tasty. Slightly pink: one minute on a high heat, then 4-5 minutes for a veal chop or grenadine / around 20 minutes per 500g for roast veal cooked in the oven or in a casserole dish. Medium: one minute on a high heat then 6-8 minutes on a low heat for a veal chop or grenadine / around 30 minutes per 500g for a roast. Cooking times should be slightly reduced for a thinner veal escalope. The cooking time for roast veal also depends on its shape and thickness. Reduce the cooking time if the joint is long and thin or vice-versa. Veal meat keeps in the refrigerator for two to three days in its original packaging. The meat must be taken out of the refrigerator for a little while before cooking: if it is returned to room temperature, it will not be damaged by an overly abrupt change in temperature when cooked. To prevent the meat from losing its juices during cooking, never prick it with a fork to turn it over – use a spatula instead. Likewise, do not season the meat until it is served. Once cooked, the meat must be covered in aluminium foil and left to rest for a few minutes on a rack or failing that on a plate: the heat will spread evenly and allow the meat to relax. For small cuts like veal chops, grenadines or escalopes the resting time should be the same as the cooking time, whereas for larger cuts such as a veal joint it should be at least ten minutes. beef, a favourite of consumers!